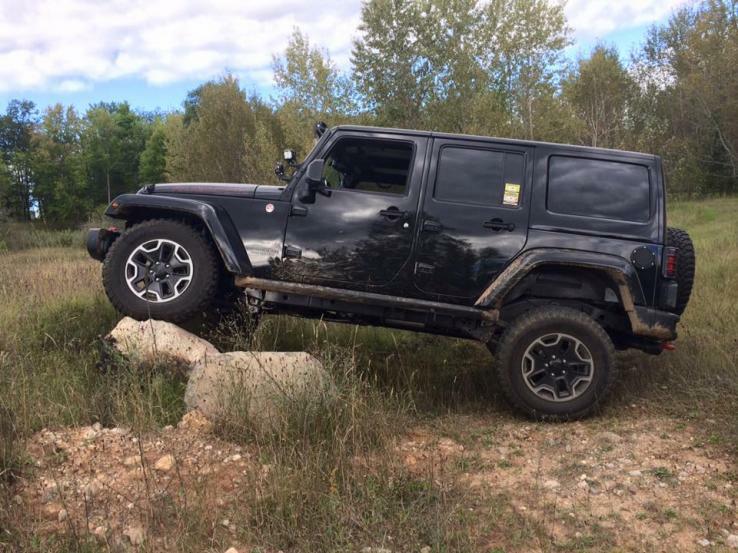 A member in Kentucky, United States	 Leveled, custom wheels and 33" tires. 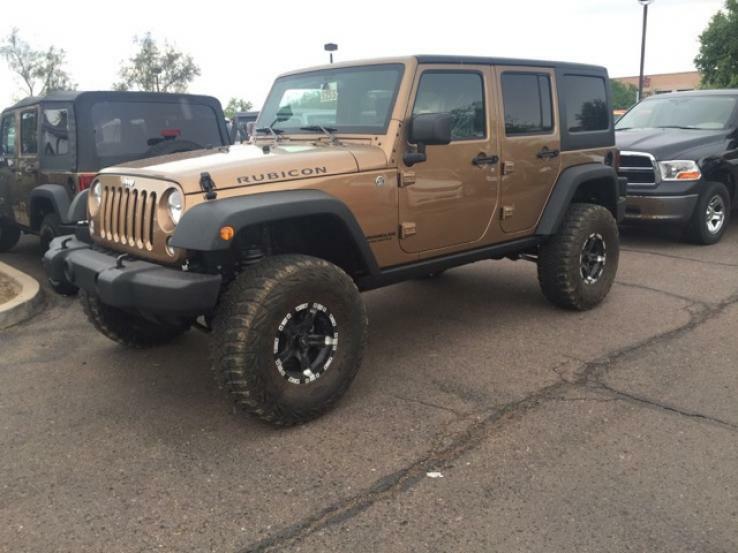 caalvarez	 Just after the lift and tires were installed. yrsannes	 Lancaster, CA: New vehicle sitting in our drive way. 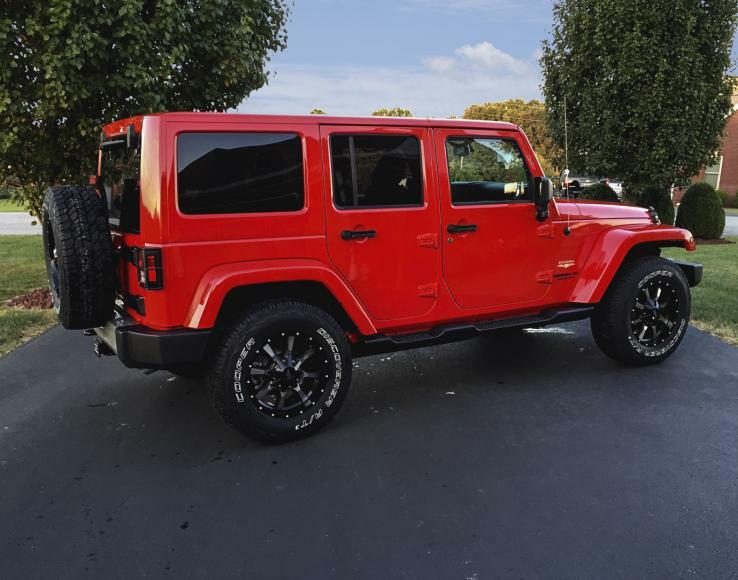 Second Wrangler, very enjoyable. 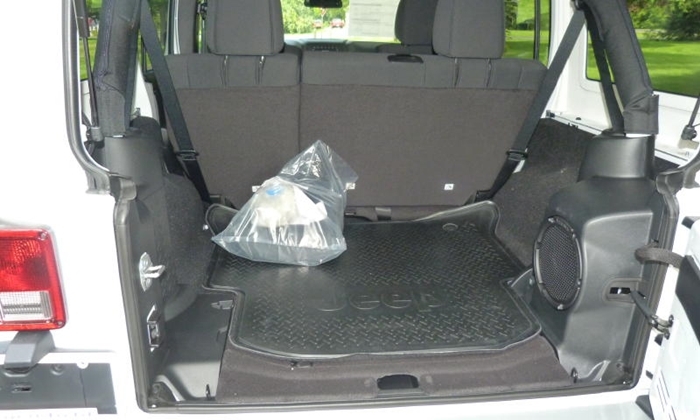 Ten-Year Veteran	 The four-door Unlimited has nearly three times as much cargo area behind the second-row seat. Ten-Year Veteran	 The second-row seat doesn't come close to folding flat, but can be removed. Ten-Year Veteran	 Why put a cover on the engine in a Wrangler? Seems out of character. Ten-Year Veteran	 The 285-horsepower V6 is beyond adequate even at highway speeds. Ten-Year Veteran	 The Willys edition includes these big knobby tires, also available as a separate option. Ten-Year Veteran	 Not much cargo area behind the two-door's second-row seat. Sealed subwoofer in center of floor. Ten-Year Veteran	 Unlimited's rear seat is just a little roomier and more substantial, but much easier to access. 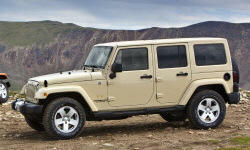 Ten-Year Veteran	 The latest Wrangler retains the iconic seven-slot grille, black on the Willys edition. 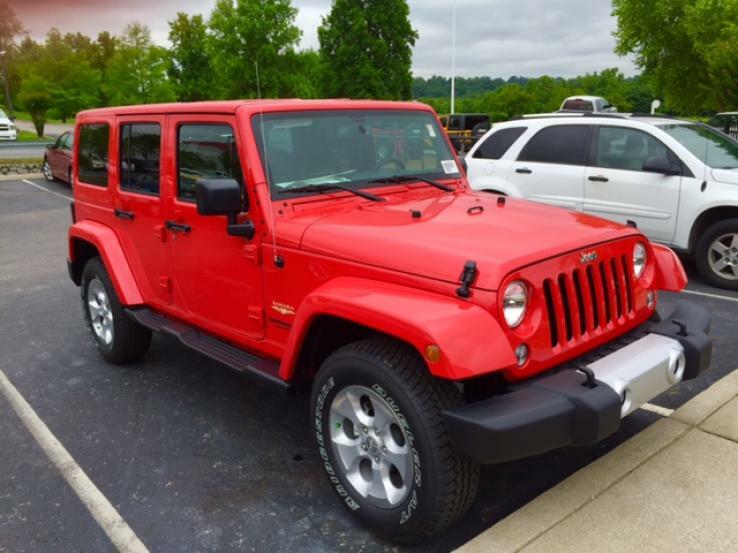 Ten-Year Veteran	 Virtually everyone recognizes a Jeep on sight. 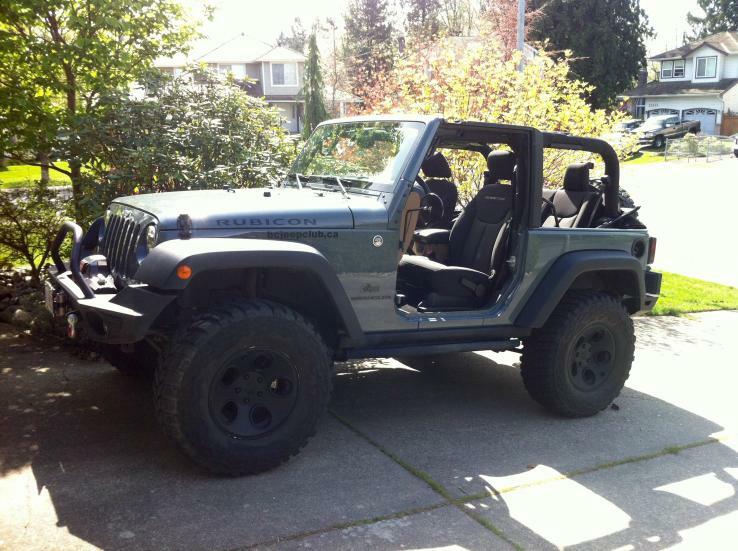 Willys package includes black fenders and wheels. 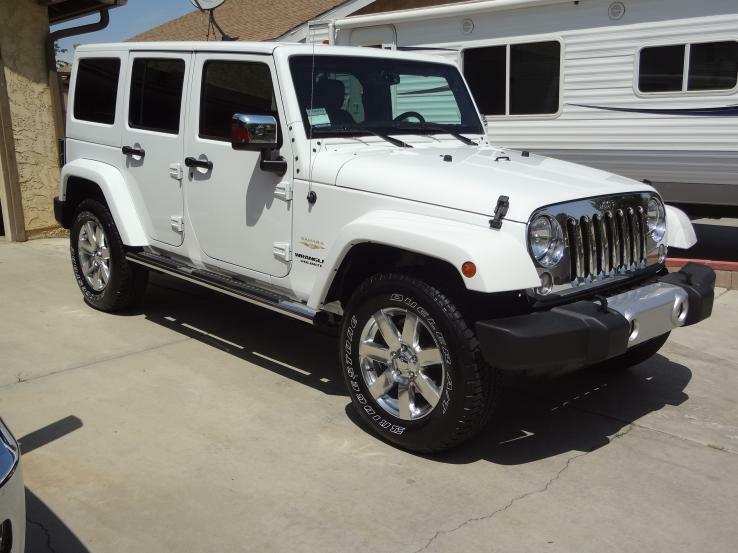 Ten-Year Veteran	 The JK is significantly larger than previous Wranglers. To my eye the two-door now appears stubby. 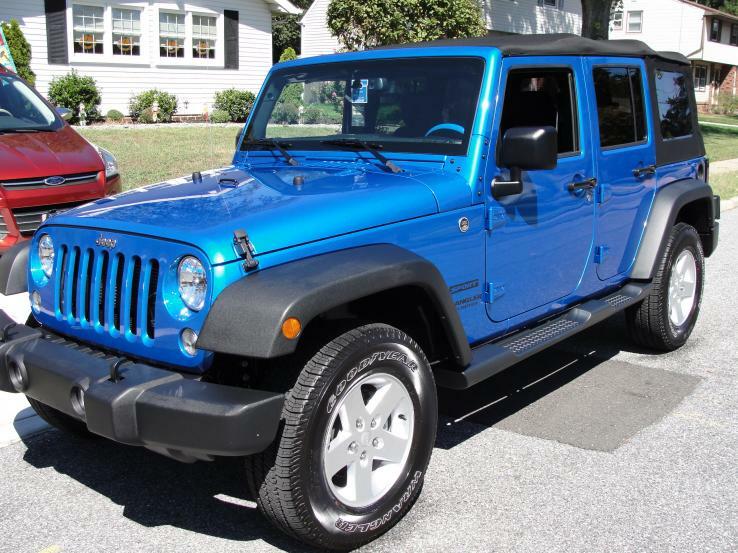 Ten-Year Veteran	 I prefer the proportions of the four-door Wrangler Unlimited. 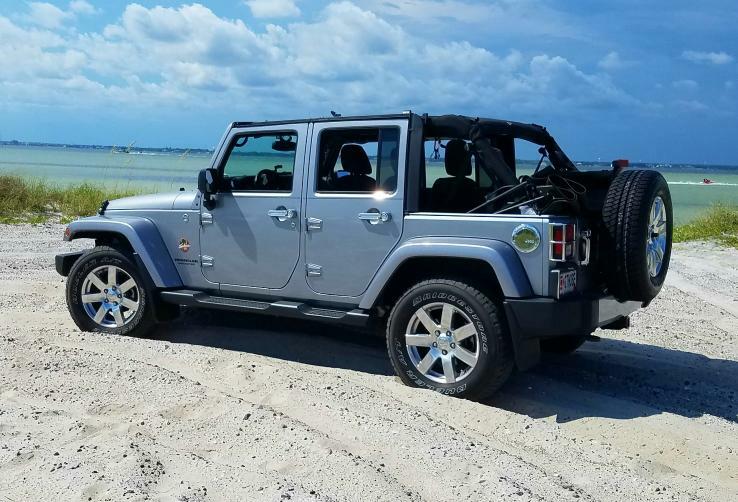 Body-color top optional. Ten-Year Veteran	 A full-size spare tire remains attached to a swing-out tailgate. 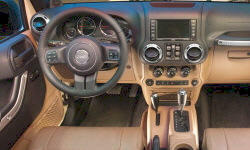 Ten-Year Veteran	 The Jeep Wrangler's interior was significantly upgraded for 2011, but remains minimalist. Ten-Year Veteran	 Round air vents a nice detail. Passenger has a bar to grab on to. Ten-Year Veteran	 Simple controls are very easy to reach and operate. Window buttons between the center vents. Ten-Year Veteran	 It's especially difficult for those not long of limb to climb into the high driver seat. Ten-Year Veteran	 No trouble seeing over traffic.